In a somewhat unusual role reversal for this episode, I find myself as the interviewee. 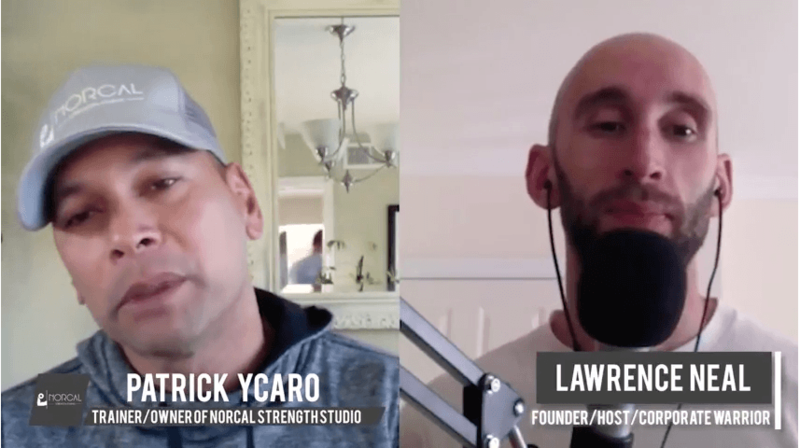 Patrick and Oliver Ycaro interviewed me on their YouTube channel, Norcal Strength Studio. I absolutely loved doing this, and if you have a podcast on HIT, health and fitness in general, productivity, business, “fill in the blank”, I would LOVE to come on to your show. If you’re interested in having me, please contact me here. And remember … I will share the episode and your platform with my audience :D.
Run by the brothers Patrick and Oliver Ycaro, NorCal Strength Studios is focused on helping people of all ages, abilities, and even medical conditions lose weight, build muscle, become stronger, have more energy, and live healthier lifestyles in as little as 20 minutes a week using evidence-based exercise science and the principles of high-intensity training. Patrick is a Certified High Intensity Training Instructor, Certified Safe Strength Instructor, and is CPR/AED Certified. Oliver is a NorCal Strength Studio HIT Certified Instructor and an IFPA Strength Training Specialist. Want to quickly get started on High-Intensity Training, losing bodyfat, and gaining lean muscle mass? Check out the books I’ve written on HIT and living a healthy, optimal lifestyle by clicking here. QUESTION OF THE DAY: Would you like to interview Lawrence Neal? Please email lneal2 [at] gmail [dot] com. Send rapid fire questions in adv. (rest of interview spontaneous). Use buffer to poll audience for questions – ask them to be as specific as possible (e.g. don’t ask “how to be healthy”), post to Facebook profile manually. Test blinkist app to get summaries and notes for guest books. Talk about stuff with guests on podcast that they seldom get asked about but want to talk about. Perhaps ask the guest in adv? Ask mutual friends what I should ask. List friends who have been on the podcast, feel free to chat with them (social proof), big impact to X demographic. Consider where in my questions it might be suitable or add colour with my own experience or study and add to notes. Mini-bio (short paragraph) or can use website blurb (up to you).